Stanton Homes creates extraordinary custom homes from the $300Ks to $1 million in communities from country club to countryside across central North Carolina. Check out the reviews posted by our homebuyers here on Houzz. We are honored at the designation of Best of Houzz in Design and Best of Houzz in Customer Appreciation four years running. 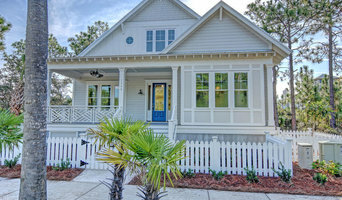 Contact us at 919-278-8070 or visit www.StantonHomes.com to see what the excitement is all about. Homes By Dickerson builds custom-designed new homes in some of the most prestigious and centrally-located neighborhoods throughout the greater Raleigh, Durham and Chapel Hill metro areas with communities also in Pittsboro, Wendell, Wake Forest, Apex and Fuquay-Varina. We are also very excited to announce our newest ventures, building custom homes in both Pinehurst, NC and the Charleston, SC areas. Our high-performance, green certified homes are more than just energy-efficient, they offer its owners peace of mind about their comfort, their health, their money and their impact on the environment. At Homes By Dickerson, we are committed to building each of our custom homes with this philosophy in mind because it is our passion to be good stewards of our clients' money and to offer them the best options available when it comes to health, comfort and sustainability. Homes by Dickerson has been comprised of the most exceptional individuals in the home building industry, each contributing their unique talents to our repertoire of custom-built designs. We are made up of dedicated professionals that not only work directly with each client, but also work with one another to achieve the most quality-built, custom home that each person involved is proud to be a part of. We are and award winning local custom home builder in the Raleigh, NC area. We are passionate about helping our clients select a design and build a custom home that fits their family and their lifestyle. Our Project Manager has overseen the building of over 60 custom homes in the past 8 years and is excited to bring his experience and expertise to the Midtown Custom Homes projects. He is on site daily and oversees all contractors, ordering and delivering materials, as well as coordinates all scheduling to be sure the homes are completed and ready for our clients in a timely manner. Our team will keep your project moving forward with scheduled appointments for selections and guidance on color and style when desired. Laura Siegmund is our designer and makes all the selections for the homes as well as being responsible for for marketing and client relations. Laura brings 10 years of experience in sales, marketing and advertising, 7 years in custom homes building and real estate and also has a background in time management. 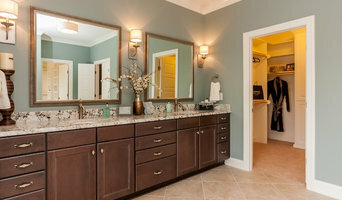 Alamance County's Elite Home Remodeler & Builder. Best of Houzz 5x! Custom Home Builders and Remodelers. We are a husband and wife team that combine our talents to help our clients transform their vision into finished project. We can help you build your dream home or turn your existing home into the home of your dreams. Moore County's Elite Custom Builder Best of Houzz 2014-2017! There are many reasons for purchasing a new home. There could be a new addition to your family, a job relocation, or a downsizing /upsizing from your existing residence. Building a new home can be an overwhelming process, especially if you're paired with the wrong partner. At MBM Builders, the home building process is made as easy as possible by giving detailed specification sheets, thorough walk-throughs at various stages of construction, and raw experience & the know-how to do so efficiently and effectively. With years of management experience on construction sites throughout the Triangle, our president Mike Mullins has built everything from $200,000 homes to $900,000 custom homes. Mike has constructed dozens of new homes in the Triangle area over the past 10 years. Mike welcomes the opportunity to provide you the house you can call home, and would consider it a privilege to partner with you in making your dream home become a reality. Premier Homes South has been serving as a leading Triangle Renovation Contracting Firm since 2002. We’re a team of fully-certified professionals who tackle everything from complex and large scale construction projects to small repair jobs. Fueled by our commitment to excellence, we go the extra mile to make sure clients are completely satisfied with our work. Call us today to schedule a consultation. With over a dozen years of experience of building custom homes in the Triangle, L & L of Raleigh has earned a reputation as an award-winning builder of homes of impeccable quality and craftsmanship. Our company is known as Your location specialty builder. "It is vitally important that we build our homes in outstanding locations. As our market changes, where we build becomes more and more important," says Warren. We also take pride in the fact that L & L of Raleigh does not discriminate in price ranges. We are building homes from the $200's to the $800's and no house is too big or too small. It's all about building the right product in the right location for the right price, a motto that L & L of Raleigh not only stands by, but lives by. For builders who also act as developers, the job starts well before the first nail is driven. They perform Raleigh, NC market research to determine whether the prospective homesites make sense in the Raleigh, NC market, as well as survey the land on which the house will be built to make sure it is suitable for construction. They also obtain the necessary permits. A good builder has skills that go far beyond construction — he or she must supervise subcontractors and artisans; keep tabs on Raleigh, NC zoning regulations, building codes and other legalities; inspect work for problems along the way; and perform dozens of other roles that are essential in building a quality house. Here are some related professionals and vendors to complement the work of home builders & construction companies: Interior Designers & Decorators, Landscape Architects & Landscape Designers, Architects & Building Designers, Kitchen & Bath Designers, Specialty Contractors. Find custom home builders and luxury construction companies on Houzz. 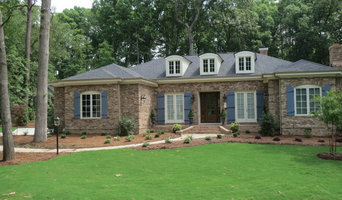 Narrow your search in the Professionals section of the website to Raleigh, NC new home builders. You can also look through Raleigh, NC photos to find a house you like, then contact the builder who worked on it.